“Watch out! !” – We have all heard this warning at some point in our lives. Now when Jesus says “watch out”, we’d better watch out. While Jesus was engrossed in teaching things of spiritual consequences he is interrupted by a man who asks him to settle a family dispute over money. v 16. – Jesus goes on to tell a parable. The man in the story is not a crook, he has not acquired his wealth through illegal means. This was honest gain from hard work – just like many of us he was a respectable member of society. His hard work was paying off. 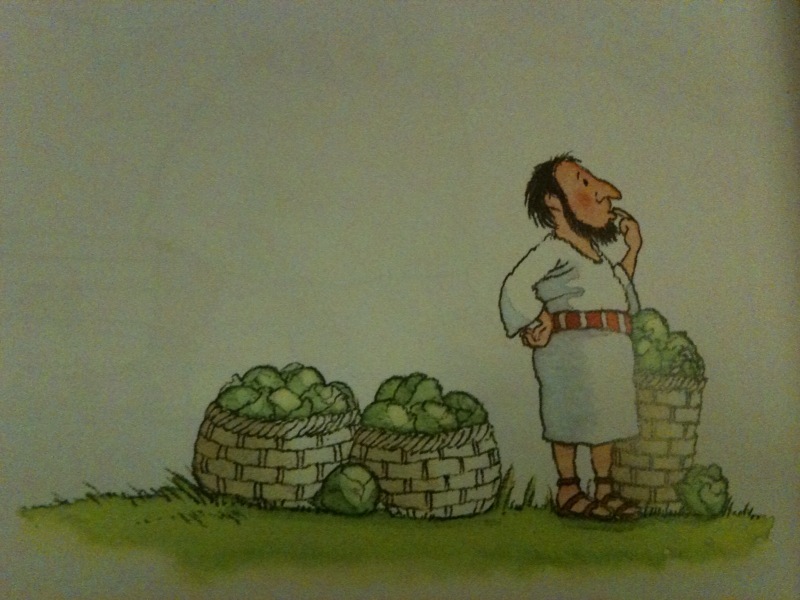 V18.- However his abundance was posing a problem for him. The thought however did not occur to him that he could use his abundant wealth to bless others, to help the poor in own family or community, to pay his workers well, to give something to the synagogue where he worshipped. He was only thinking about himself. V19. He gets an idea – to build bigger barns i.e hoarding for himself. He was selfish. This is the tragedy of wealth today. It’s interesting to note that Jesus spoke more on money and wealth than on heaven and hell. In fact 15% of what Jesus taught on was concerning money and wealth. 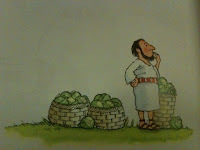 V19b- this man worked hard for his wealth and could say “I worked hard for it therefore I deserve to enjoy it”. How much is enough? Think about your life 10 years ago, what you had and what you have today. Are you not blessed? You will never be satisfied with wealth and possessions. Its like drinking salty water on a hot summers day. Some hoard gold, some invest in stocks, others homes. God is not against saving. It‘s our attitude towards money he is interested in and how we use it. Our happiness is not determined by our possessions. “I’ll be happy when......( you fill in the blanks) If you are thinking in this way ,”watch out”! So what did this man do? V18. - He thought to himself.. Four times he says “I” and three times he says “my” in one sentence. He had no thought for anyone else. He does not even mention his family. Watch how he speaks to himself. ( we need to watch how we speak to ourselves). In the eyes of the world he appears to be very successful and people would envy his problem. But what was Jesus evaluation of him and of us if we are like him? V20. - “you fool”!!! James 4:13-14 what is your life? We need to submit our wealth to the Lord and ask him what He would have us do. It is a terrible thing to be called a fool by Jesus. Jesus is not against saving and wealth – but what are you doing with it? Have you been rich toward God? What will we hold up before God when we meet home face to face? Will it be our homes, new phone, gold, stocks, fancy car? Or things we have invested in for the Kingdom of God ? 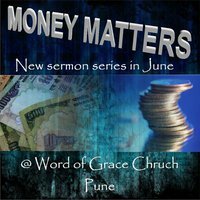 Lev 27:30 – Giving our tithes is only the basic. It belongs to God anyway so you are not doing anything special. It’s like you are expected to pay your bill at a restaurant. You are not doing anything special and the owner will not specially thank you for doing so. When you give more than your tithe that’s when the giving starts. Are you rich toward God? Are we bring generous toward one another? Are we blessing the poor? Use the blessings God has given you. Luke 12: 33 Sell your possessions and give to the poor. Provide purses for yourselves that will not wear out, a treasure in heaven that will never fail, where no thief comes near and no moth destroys. 34 For where your treasure is, there your heart will be also.